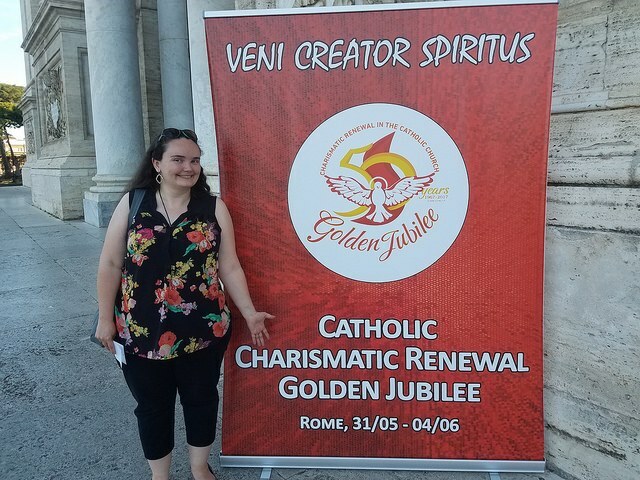 Around 30,000 Catholic and Protestant pilgrims from around the world are expected in Rome this week to celebrate the 50th anniversary of the Catholic Charismatic Renewal. 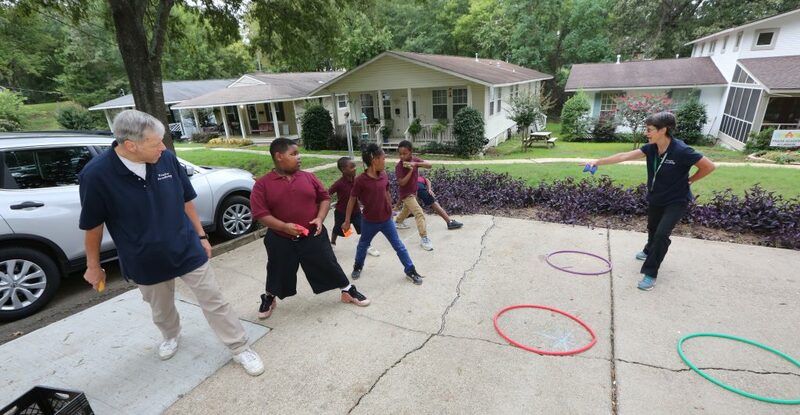 Among them are People of Praise members from locations including Indianapolis, Colorado Springs, Buffalo and the Twin Cities, including our own Vine & Branches reporter, Elizabeth Pease. Today the group attended an audience with Pope Francis, who greeted the pilgrims. “On your families I invoke a rich outpouring of the gifts of the Holy Spirit,” he said. 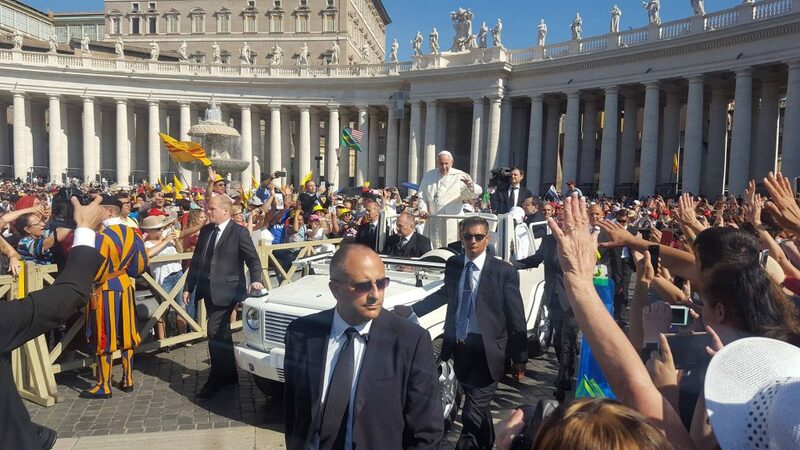 Pope Francis will join the charismatics again on Pentecost Sunday for a mass in St. Peter’s square. As the Catholic Charismatic Renewal had an ecumenical dimension from the beginning, Pope Francis wanted the anniversary celebration also to be ecumenical, inviting Pentecostals and evangelicals from around the world. Some of the conference sessions will specifically focus on spiritual ecumenism. “You Charismatics have a special grace to pray and work for Christian unity, so that the current of grace may pass through all Christian Churches,” Pope Francis said in 2015.